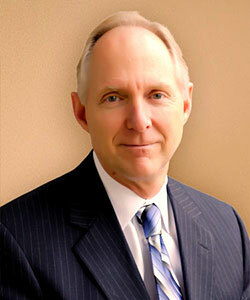 David Holaday has over 25 years experience as a financial consultant. He is the founder and Managing Member of Wealth Design Consultants, LLC, which offers case design, analysis, and presentation services to organizations and individuals that serve high new worth clients. Clients of the firm include lawyers, financial advisers, family offices and charities. He has a national reputation for developing unique and comprehensive solutions for complex family situations and often collaborates with the client’s existing tax, legal, insurance, and investment advisers. Previously he co-founded and later sold The Wealth Design Center (a technology, training, and consulting firm) to a publicly traded company. Dave also served as Director of Intellectual Property at Renaissance Inc., an Indianapolis-based provider of charitable consulting and trust administration services. Provides consulting on wealth transfer, estate tax, and philanthropic strategies to professional advisers across the nation. Provided back-office comprehensive estate design and client presentation services for over 500 family situations involving over $5 billion in assets. Created technology solutions to aggregate and integrate client financial, estate, tax, and cash flow information and licensed the technology to top planning firms across the nation. Created business processes and support systems for wealth advisers and offered these through seminars across the nation. Provides charitable and estate planning consulting services on behalf of charitable organizations to major donors. Co-Author, “Getting “Buy In” to Develope a Collaborative Advisor Team,” Trusts & Estates, February 2013. Author, “Case Study: A Family Business Succession Plan with Zero Estate Tax and a Large Charitable Bequest,” Planned Giving Design Center, October 2012. Author, “Case Study: Keeping a Treasured Residence in the Family,” Planned Giving Design Center, August 2012. Author, “Better Results Through Better Collaboration,” Journal of Practical Estate Planning, April/May 2010. Author, “Exit Plans for Financed Life Insurance: Preparing to “Cross that Bridge” Before Coming to It,” Journal of Practical Estate Planning, August/September 2006. Co-Author, “Combining Life Insurance and Annuity Policies to Create a Financial Engine for a Nongrantor CLAT,” Journal of Practical Estate Planning, August/September 2004. Author, “Charity-Owned Life Insurance and Investment Capital: The Good, the Bad, the Ugly,” Journal of Practical Estate Planning, October/November 2004.